Beautifully sculpted lines, bold styling features and considerable road presence all help to make the Mitsubishi Mirage quite a head turner. Thanks to a lightweight chassis and an efficient petrol engine, not only is the Mirage affordable to run, it's also low on CO2 emissions. 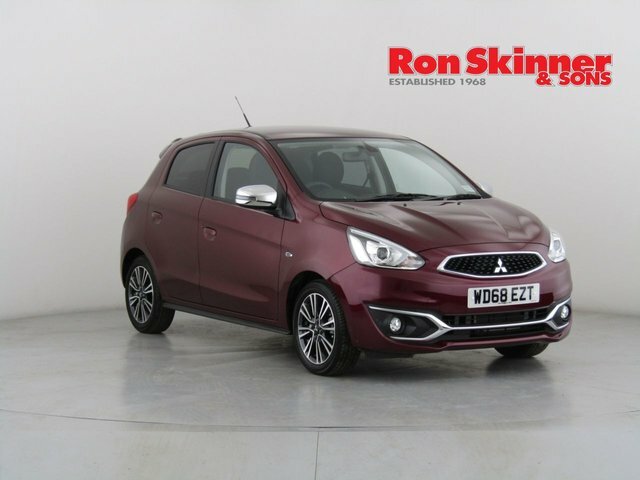 Why not explore the latest range of used Mitsubishi Mirage models for sale in Wales by paying a visit to our showroom. You're guaranteed a warm welcome and our team will do everything possible to help you find the right model to suit your requirements. Get in touch with Ron Skinner & Sons today to find out more and to book a test drive.